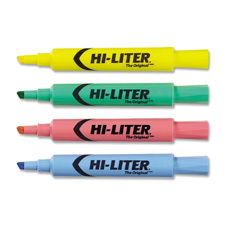 The original highlighter offers vibrant read-through colors and a molded chisel tip to highlight or underline. 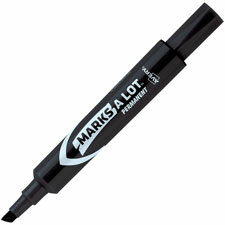 Durable plastic tip for smooth highlighting - won't fray or mush. Improved formula allows you to leave the cap off for up to one week and still highlight. Quick-drying, nontoxic ink. ACMI certified (conforms to ASTM D 4236). 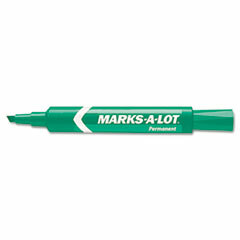 The original highlighter offers vibrant read-through colors and a molded chisel tip to highlight or underline. Durable plastic tip for smooth highlighting - won't fray or mush. Improved formula allows you to leave the cap off for up to one week and still highlight. Quick-drying, nontoxic ink is ACMI certified (conforms to ASTM D 4236). Permanent marker is designed to work on almost any surface including cardboard, metal and plastic and resists rubbing, water and fading to deliver marks that last. The ink is low-odor, nontoxic and certified. Quick-drying formula minimizes accidental contact with damp ink. A chisel tip allows you to vary the width of your strokes for legible notes on small surfaces and broad strokes on high-visibility signs. Nontoxic formula allows safe use by children.